This is a story that I’ve told plenty of times, but it seems like there are always more opportunities to give it a fresh coat of paint. Here’s how I ended up working at Automattic, the company behind WordPress.com, as a Happiness Engineer. I was unhappy in my job. Lots of folks find themselves in this situation. I felt underappreciated, underpaid, overworked, the usual list of gripes. I don’t remember when I first started thinking about quitting – I was working in the coffee industry, and it was the only real experience I had to speak of. I had the kind of strange resume most philosophy graduates cobble together – I’d taught logic to community college students, been a community organizer for AmeriCorps, and at the time I was opening cafes and training staff for a small chain of coffee shops. I even cut a ribbon one time! At some point, the idea of remote work slipped onto my radar – at first just a blip on the outside edge. I met a few folks who worked remotely, and it was the kind of idea that just stuck in my mind. My wife is a professor, so it occurred to me that a remote job would offer me a more flexible lifestyle, and allow us to do the kind of traveling we’ve always talked about. It was a nice idea, and something that I might pursue someday – but not today, today I’m too busy for all that. It wasn’t until I was walking to my hotel from a trade show, in Boston MA, that I had an epiphany. I was musing on the idea of working remotely – which should be telling, that at a progressive coffee trade show I was thinking about a whole different career path – when I said to myself, “Well, would I work remotely if it meant I had to kind of hate what I was doing?” and it came to me. There wasn’t anything particularly hateful about the job; it just was a bad fit for me at the time, and I was a bit disappointed to be losing touch with the coffee industry that I cared about so deeply, and it did not look like I had any future in it. The job itself was not the problem – I worked with some lovely folks, and I wish them all the best. It was simply clear to me that it was time for me to start my journey elsewhere. So I dove in. I told my wife that I’d have a new job, a job working remotely, within two years. My first step was a blog post I’ve since directed many others to – Scott Berkun, “How many companies are 100% distributed?”. I opened every company’s site, found their employment or hiring pages, and started a spreadsheet. Company name, size, job types available. Even then, Automattic stuck out a bit – unorthodox web site, plus, after all, I’d been a WordPress user for years at that point. I added it to the spreadsheet and moved down the line. In performing this exercise, it became pretty clear that the vast majority of jobs available to remote hopefuls were tech jobs, specifically developer and designer positions. At that time, the one skill set that was head-and-shoulders above the rest in terms of frequency was Ruby on Rails. So, I picked up a Treehouse subscription and got to learning Ruby – I had no background in code, outside of enough HTML and CSS to style a WordPress theme. While I was learning Ruby, I went back through the job sites for positions that I might be safe to apply for right away – some kind of project management maybe, or support positions. My reasoning was twofold; if I researched these companies and submitted applications for positions I was a fit for today, it would help me to get to know them a bit better, and refine my search down from “All Distributed Companies” to “Distributed Companies I Want To Work For.” The two companies I submitted applications for at this stage were Automattic and Articulate. Automattic because I fell in love with the fundamental driver of democratic publishing, and Articulate because I still thought of myself as an educator (and still do!). Articulate did not interview me – but Automattic did. As soon as I received that first email invitation to an interview, everything else went out the window. I became 100% focused on Automattic, on WordPress, and on the upcoming experience. 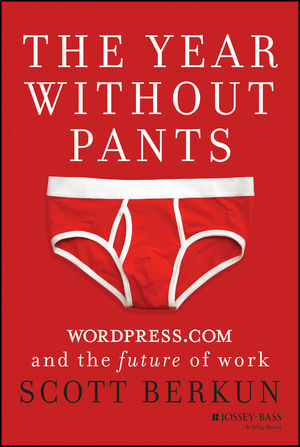 I read everything I could about Matt Mullenweg. I scoured the WordPress.com forums. I read every word of copy that exists on Automattic.com. And some part of it worked; I applied on April 10, 2013 (one year ago, tomorrow!) and started my Trial on June 4, 2013. I’m still working on learning Ruby. Wow, this sounds like me in the last few hours! Yesterday I learned about Automattic (I’ve known about WordPress for years). Looked at the openings and have spent most the day learning/brushing up on requirements for the jobs available. 17 years as a Systems Developer using a propitiatory language and commuting to work 40 miles a day can wear you down. Need to take a leap of faith. Appreciate the detail and honesty – helpful!